Fast forward to months ago, I got an email from Cara. I was overjoyed at her news that she and Stephen were expecting a special gift that they had long waited for! Their little bundle’s gender was going to be revealed on birthday so I eagerly awaited for the email from Cara. (Those emails always make me nervous! I constantly pray that everything goes smoothly!) 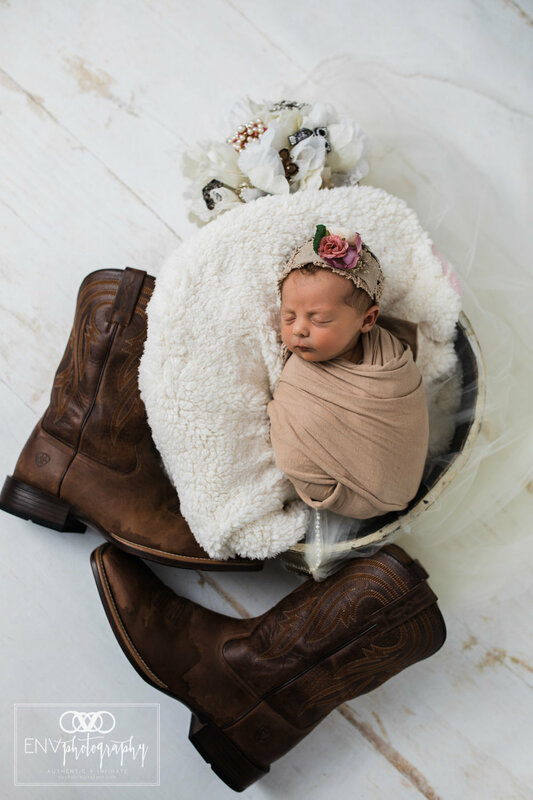 I got the email sooner than expected that sweet Beatrice Ruth Marie had entered the world and graced the arms of Cara and Stephen, welcoming them to parenthood. I was so happy to host this little family in my studio. I love when my clients return, especially with more family members than before! haha. Thank you Cara and Stephen for allowing me to have this pleasure of cuddling, soothing and photographing Beatrice for three hours. I can not believe you guys are parents! God is so good! In these images, Beatrice is wearing her late Great Grandmother’s pearls and also coxied up to her mother’s wedding dress and childhood doll in her very first portraits.